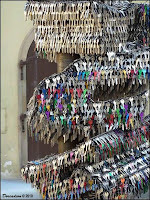 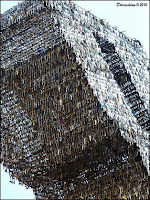 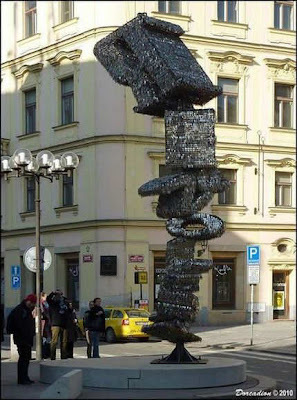 If you are visiting Prague, don’t be surprised if you see this sculpture entirely made from keys. 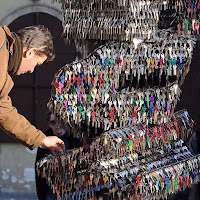 Thousands of keys of different colors and sizes are used to create the sculpture shows the word ‘Revoluce’ which is a monument to a revolution that freed Czech Republic from communist rule.This interesting sculpture can be found in Franz Kafka square in Prague. 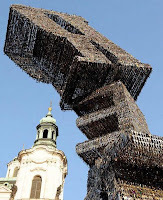 The artists decided to make this sculpture from keys because people were using them to make noise while they were demonstrating against communist regime.